Repsol, through its subsidiary Talisman Energy, announced the purchase, with a discount of 14.5%, of 1.5 billion dollars of face value in Talisman bonds today, corresponding to five issues expiring in 2027, 2035, 2037, 2038, and 2042 with coupon rates of 7.25%, 5.75%, 5.85%, 6.25%, and 5.5%, respectively. 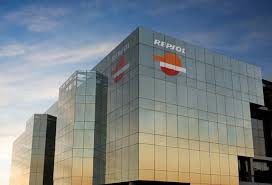 To complement this transaction, in which Repsol used part of its liquidity, the company announced a new issue of 600 million euros in bonds with a term of five years (expiring in December 2020) at a coupon rate of 2.125%. Canceling Talisman bonds will have a positive effect on Repsol's results before tax for the 2015 financial year of over 220 million dollars, resulting from the difference between the purchase price and the book value of said bonds. Additionally Repsol will benefit from annual savings of 65 million dollars before tax due to the reduced interest payment.